Odonata Research LLC possesses the expertise to support obtaining a Type Certificate(TC) for a new aircraft, an Amended Type Certificate(ATC) for modifications to an existing aircraft, and a Supplemental Type Certificate(STC) to enhance an aircraft. We have demonstrated the necessary technical competence and knowledge of the pertinent regulations and certification procedures to make certain findings for the FAA as a DER in the following areas. Odonata Research LLC is proficient at performing aeroelastic and loads analysis of aircraft using MSC Nastran, Zona ZAERO, and customer proprietary software. We also have experience performing linear and nonlinear finite element analyses (FEA) in ANSYS. 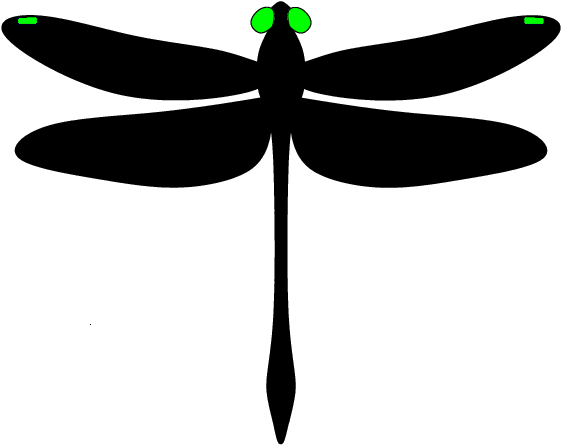 Odonata Research LLC is actively engaged in engineering software development to create computational tools that enable engineers to utilize the full potential of computing resources. Expertise is primarily in developing novel engineering analyses and in automating pre and post-processing of engineering data. The software is primarily offered as custom processing and analysis tools per client request. 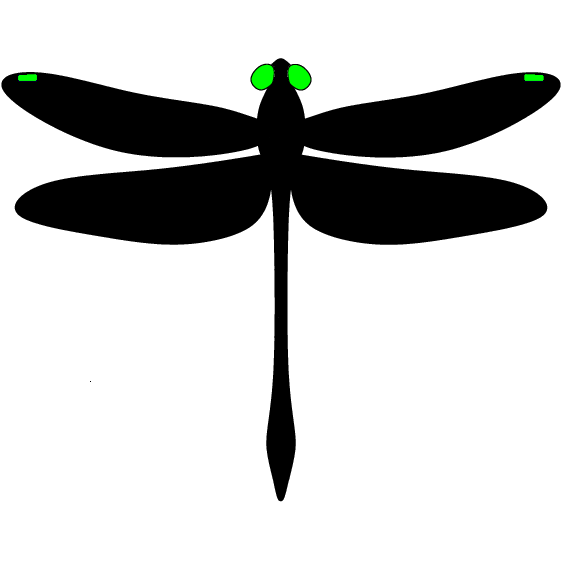 Odonata Research LLC has conducted research to develop and demonstrate innovative analyses. While the research is often proprietary, public examples are listed below. This report documents the evaluation of the aeroelastic analysis capability of the Unsteady Transonic Small-Disturbance code (USTSD) applied to a business jet configuration. In USTSD, the solution to the transonic small-disturbance equation is calculated in the frequency domain. Pressure distributions, lift, drag, and pitching moment coefficients are calculated and compared with available data. With a 2D boundary layer analysis included, the finite-difference solution of the non-conservative TSD equation tends to provide better correlation with data as compared with the conservative formulation in steady flow. In flutter analysis, the non-conservative formulation generated a higher flutter speed than the conservative formulation. The development of a dynamic aircraft seat analysis is presented in this paper. 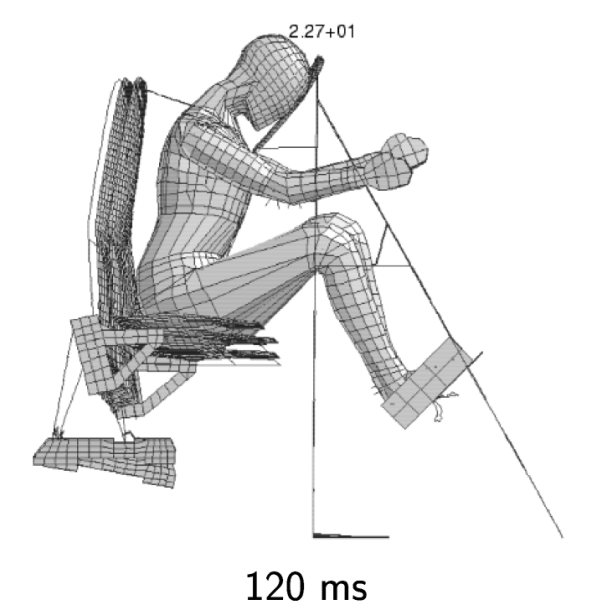 This analytical model is a nonlinear finite element model composed of a seat frame and cushion, restraint system, glare shield and a rigid body model of a 50th percentile Hybrid-II anthropomorphic test dummy (ATD) occupant. Results from this analytical model are correlated with empirical results obtained during a full-scale dynamic test. The analysis is representative of the dynamic test. Laminate Design for Coupled Wind Turbine Blades. The purpose of this paper is to demonstrate the effect of coupling at the laminate level on coupling at the structural level. Four extension-shear coupled laminates are examined. The laminates are then used in structures with circular, square and airfoil cross-sections. The properties of those cross-sections are used to describe a general elastic beam using a method from Kosmatka. The coupling properties of the beam are compared with those of the laminate using a normalized coupling coefficient, stiffness coupling ratio and compliance coupling ratio. 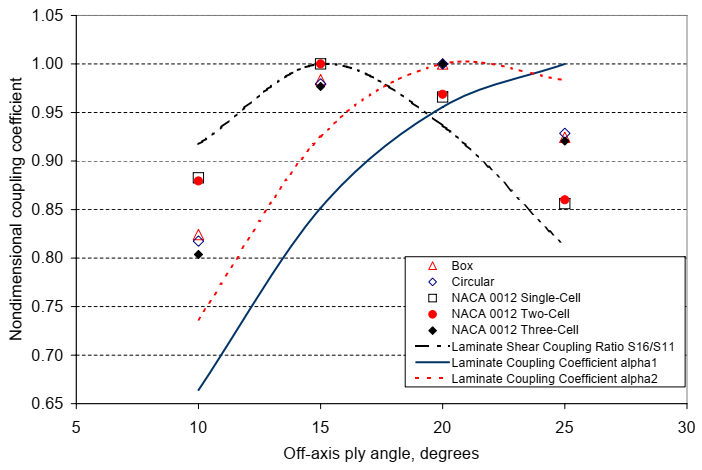 The normalized compliance ratio compared well between the laminate and the cross-sections for all cases. James E. Locke and Thomas M. Hermann, 44th AIAA Aerospace Sciences Meeting and Exhibit, Reno, NV, 2006. 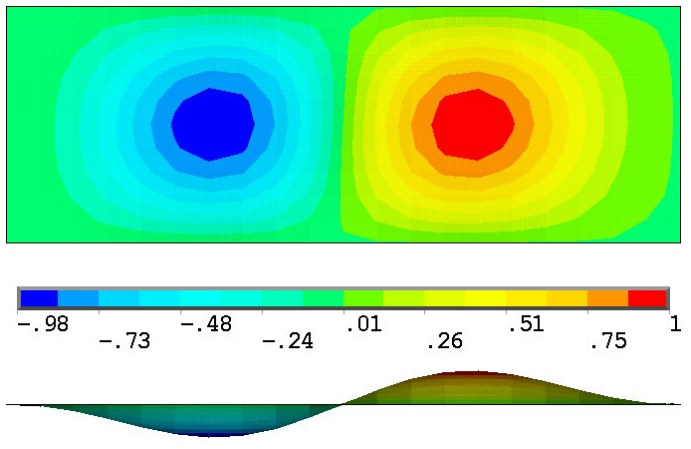 Postbuckling analysis of composite laminates representative of wind turbine blade substructures, utilizing the commercial finite element software ANSYS, is presented in this paper. The procedure was validated against an existing postbuckling analysis. Three shell element formulations, SHELL91, SHELL99 and SHELL181, were examined. It was found that the SHELL181 element with reduced integration should be used to avoid shear locking. The validated procedure was used to examine the variation of the buckling behavior, including postbuckling, with lamination schedule of a laminate representative of a wind turbine blade shear web. This analysis was correlated with data from a static test. A 100% postbuckling reserve in a composite structure representative of a shear web was quantified through test and analysis. The buckling behavior of the shear web was improved by modifying the lamination schedule to increase the web bending stifness. Modifications that improved the buckling load of the structure did not always equate to improvements in the postbuckling reserve. Thomas M. Hermann has a strong background in aeroelastic analysis of aerospace structures with proficiency in multiple commercial packages. 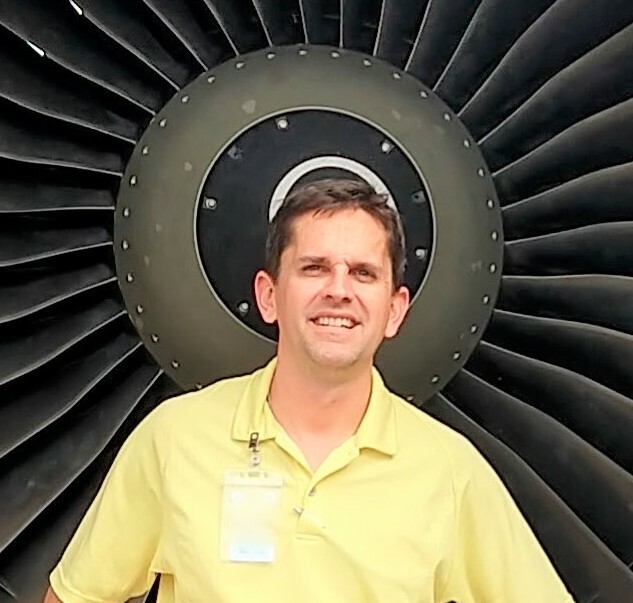 He has performed structural dynamic, aeroelastic, and dynamic loads analysis of aircraft ranging from twin turboprop, carrier based, AEW aircraft to a twin turbofan transport and business jets utilizing both customer proprietary and Nastran aeroelastic models. In addition, he performed composite laminate design, testing and analysis with application directed at wind turbine blades. In the course of all of these tasks, he acquired software development skills in several languages including Python, Fortran, Matlab, and Common Lisp. His career objective is to improve engineering productivity through proper application of state-of-the-art methodology, analyses, and software.